The Palouse begs to be captured in color with red barns, brilliant blue skies, yellow fields of wheat and green bean fields woven into a rolling landscape. The colors are so strong that it sometimes overwhelms the image. 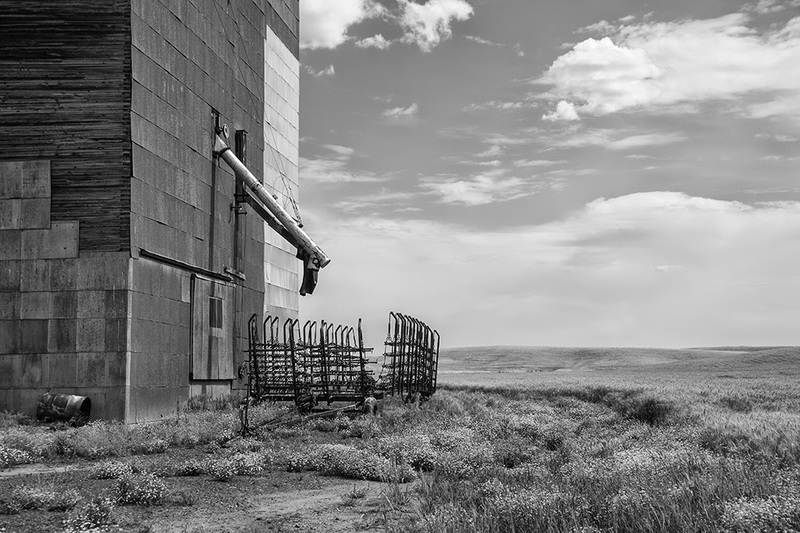 I picked up a book by a photographer George Bedirian called "Palouse Country" and I thought it was odd to be a photography book of the Palouse, with all the images in black and white, but after turning a few pages I understood why. 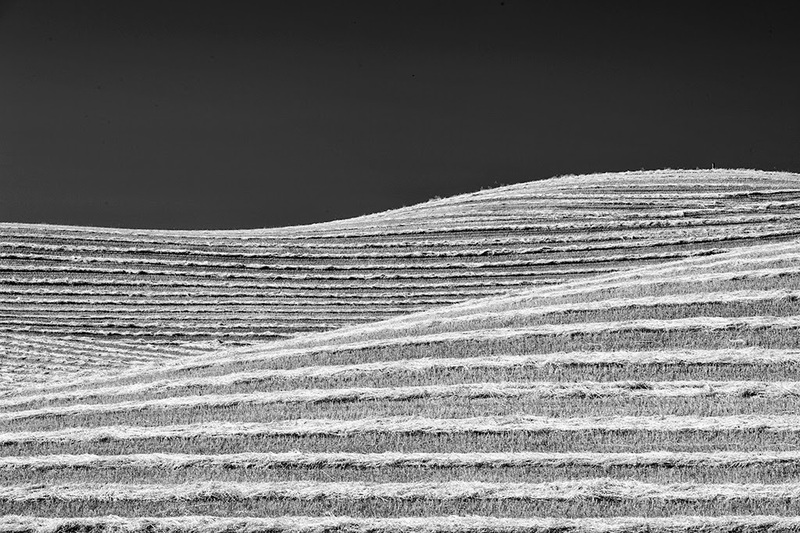 He captures light and texture so beautifully and black and white allows the viewer to really see what he is enamored with in the Palouse. George Bedirian is the associate editor of Washington State Magazine and long time resident of the Palouse. I was immediately drawn to his images. 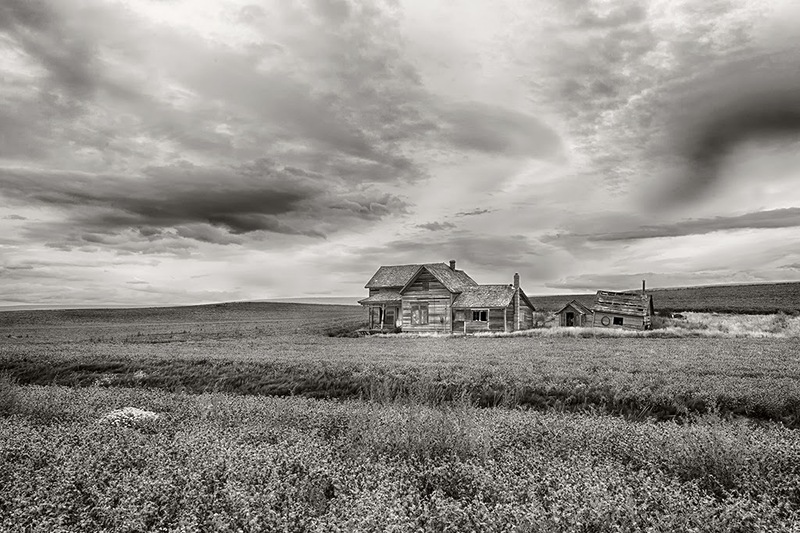 So, I began processing a few more of my shots from the Palouse in monochrome, some I used Nik Silver Efex Pro 2 and some I simply converted in Photoshop. I was asked today if I ever felt uneasy rambling the Palouse alone and I said no, not even once, even as I rolled down dusty two tracks in the middle of nowhere! It just felt good. When I got out of the car sometimes the only sounds I heard was the wind blowing through the wheat or the bees buzzing the wild flowers! Now that's special! 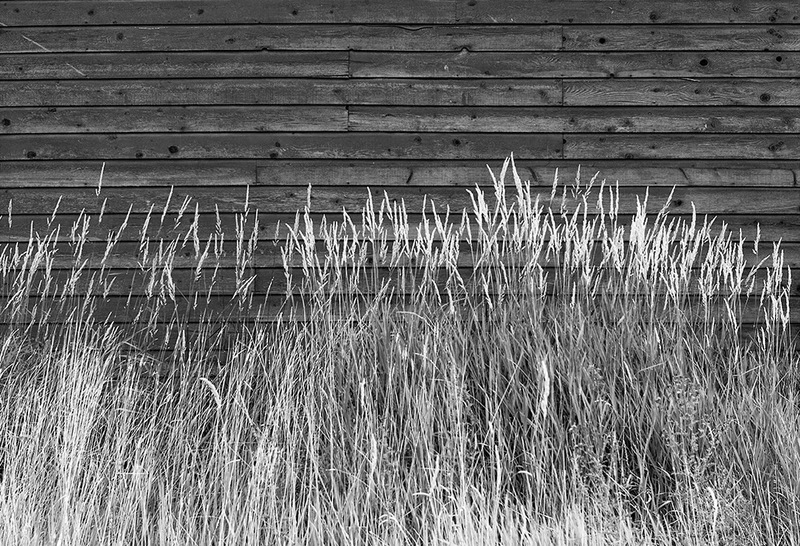 I like textures and the simplicity of yellow grasses against an old red barn were beautiful in the summer light. 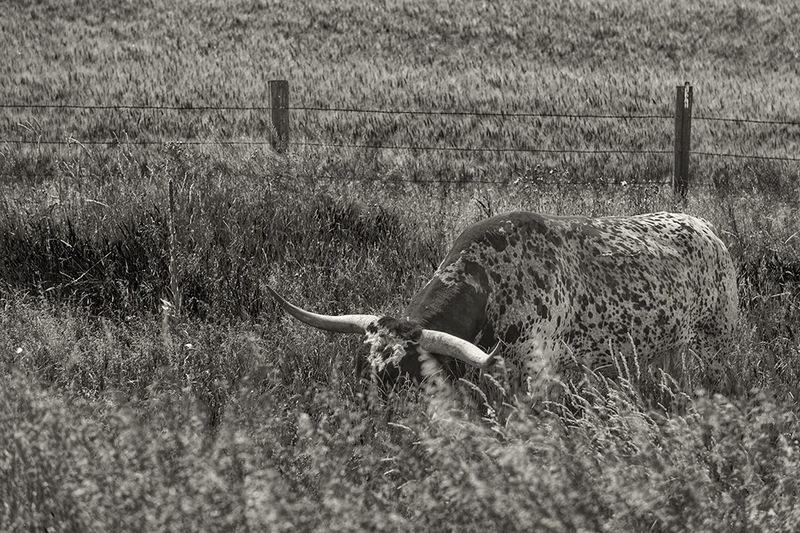 I found a ranch with a small herd of Texas Longhorns grazing as the wind blew the grasses and wheat. 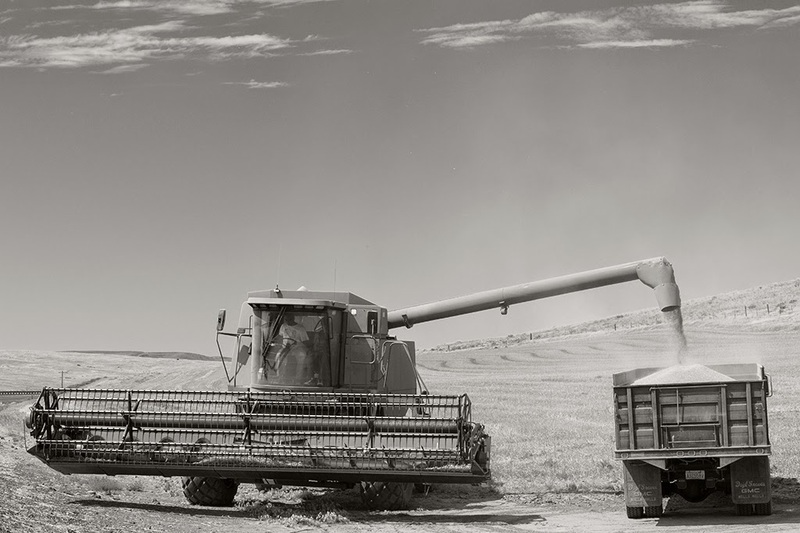 The texture of harvested crops on rolling hills against a barren sky was perfect for a monochrome conversion! I will be leading a tour of the Palouse again in Spring 2016...if you think you might be interested please join my mailing list (you can scan the bar-code on the sidebar of this blog) or e-mail me for updates as plans become finalized. I have left the Palouse but the Palouse has not left me! Its a great place, with wonderful people, working hard to farm the land. 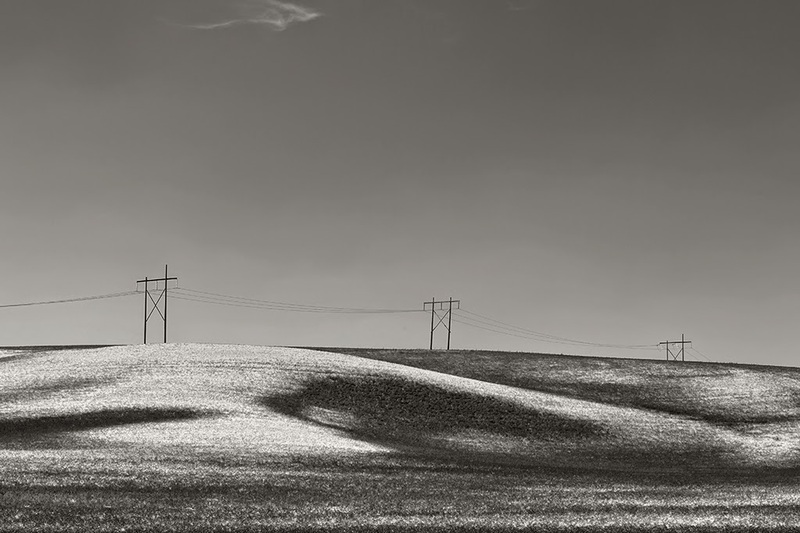 Even high tension wires in the rolling hill landscape made for a good monochrome conversion.